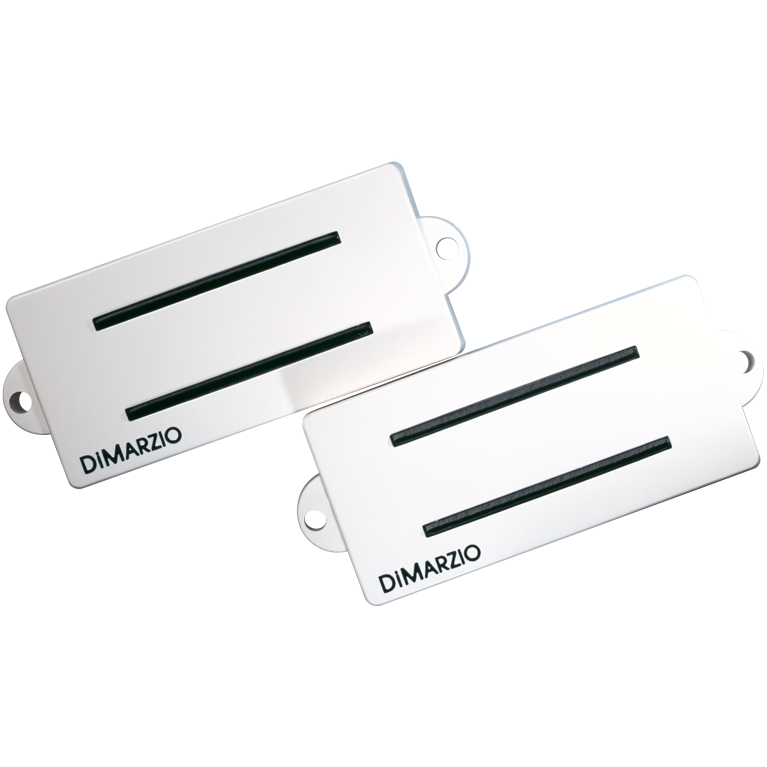 Expand the sound of your bass by installing a DiMarzio® Split P™ Pre-wired Replacement Pickguard. The set includes a laminated black-white-black pickguard, a black Split P™ pickup, knobs and solderless installation. Each half of this unique double-blade P-style pickup is a complete humbucker. Split P™ pickups are EQ'd to expand the range of your bass by extending both the low- and high-end response: a great way to get a broader contemporary sound from mid-rangy, one pickup-in-the-middle basses. The double-blade design adds snap for crisp attack and emphasizes cool overtones for big, smooth tone. Blade pole pieces also make the Split P™ very sensitive to finger and pick-attack. Notes seem to ring longer, especially in the upper registers, as the pickup “hears” the decaying note practically down to a whisper.